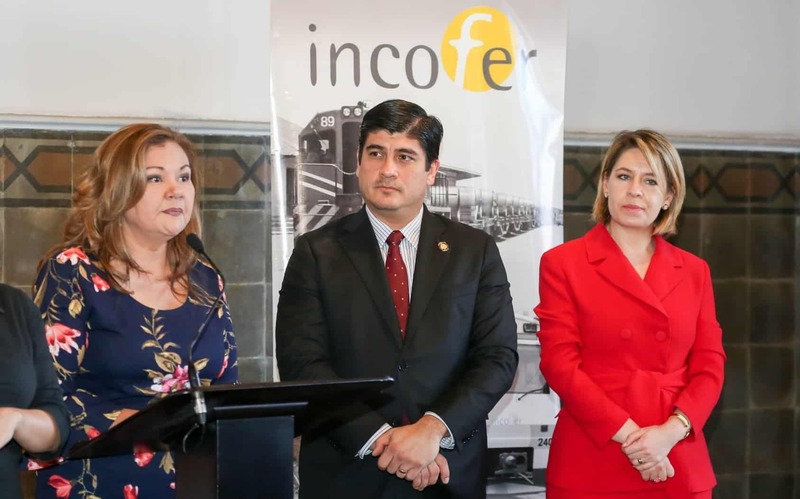 The Costa Rican Railroad Institute (INCOFER) announced that it will buy eight new trains from CRRC Quingdao Sifang Co. Ltd, a Chinese company dedicated to researching, developing and manufacturing railway locomotives and rolling stock products. The announcement, made Dec. 3, detailed that each 38-meter train consist of two Diesel Multiple Units (DMUs) —train cars with onboard diesel engines— and can hold 372 passengers. The engines are being made to INCOFER specifications and will have noise reduction technology and comply with EU STAGE IIIA environmental standards, according to a press release from the Casa Presidencial. “We have the obligation to modernize our railway system to guarantee sustainable, efficient and quality transportation for our population,” said First Lady Claudia Dobles, an architect and urban planner whose taken on urban mobility as a cause. The project will cost $32.7 million and includes maintenance equipment, workshops, spare parts and training for INCOFER employees. “The technical proposal by CRRC Quingdao Sifang Co., Ltd. is serious and it complies with the technical parameters required by INCOFER during the bidding process,” said Elizabeth Briceño, executive president of INCOFER. The trains, which are said to have a 30-year lifespan and include LED screens with information for passengers, air conditioning and space for two wheelchairs each, are expected to be delivered 18 months after the contract is signed.